One of the frequently cited deviations in FDA inspectional observations and warning letters is the lack of adequate training of employees. Training is an FDA requirement that should be planned, conducted, evaluated and documented. It is vital for employees of regulated companies to understand what the regulations are, their interpretations and FDA requirements. This article is designed to help FDA regulated companies understand the GXP training requirements in US and EU and develop effective training programs and plans. For a firsthand understanding of the effective training practices for FDA compliance, attend this webinar. Before getting into the importance of GXP training, it's vital to get the context right. So, here goes its definition. GXP is an acronym commonly used in the bio/pharmaceutical industry. These regulations which are established by the United States and Food and Drug Administration (FDA) are published in the Code of Federal Regulations. These regulations are divided into Titles, Code of Regulation, and Sections. Whenever a regulation is cited, the title tells where the regulation is published. It is important for personnel in the regulated organizations to read the regulations pertaining to their roles or specific area periodically even if they have read it before. To quickly find and research regulations specific to your role or area, search this website. To review types of training requirements from the FDA and ISO 13485 for medical device employee attend this webinar. It will discuss techniques for monitoring and documenting training effectiveness. (a) Each person engaged in the manufacture, processing, packing, or holding of a drug product shall have education, training, and experience, or any combination thereof, to enable that person to perform the assigned functions. Training shall be in the particular operations that the employee performs and in current good manufacturing practice (including the current good manufacturing practice regulations in this chapter and written procedures required by these regulations) as they relate to the employee's functions. Each individual engaged in the conduct of or responsible for the supervision of a nonclinical laboratory study shall have education, training, and experience, or combination thereof, to enable that individual to perform the assigned functions. Each testing facility shall maintain a current summary of training and experience and job description for each individual engaged in or supervising the conduct of a non-clinical laboratory study. To help organizations abide by the GXP regulations, the International Academy of Clinical Research (IAoCR) set up a task force to produce GXP training guidelines. These guidelines provide best training practices for those involved in the training and development of clinical research professionals and can be used by any regulated organizations irrespective of their size or sectors. The GXP guidelines provide the Key steps in developing competent individuals and Competency framework through assessment of learning and its documentation. The guidelines also provide examples, templates, and a direction to useful resources for those who may need a deeper coverage of subject matter. 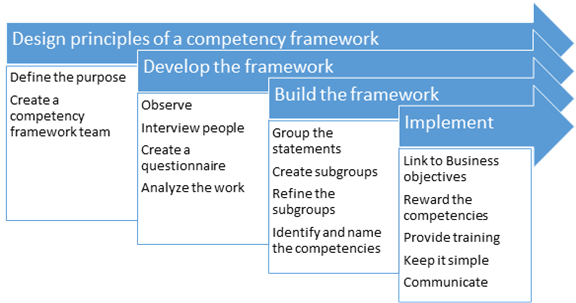 To define competencies for job roles, collect and combine competency information. This information will help you develop a standardized approach for performance. It more specifically outlines what is needed for people to be effective in their roles and helps them see how their roles relate to the organizational goals. Four phases are recommended in conducting a training needs analysis. If there are discrepancies between the desired performance outcome of your business and the actual business performance, the gap between the two is called the performance gap. By comparing your current and desired business performance result, you arrive at the performance gap. Root cause analysis helps you identify the likely causes of the performance gaps. By identifying the root cause, you can think of solutions to bridge the gap. Needs analysis helps you determine the types of needs to address the root cause. By performing a detailed analysis, you will be helped to design and implement a relevant intervention for a performance issue. When performance is an ongoing issue, training is the solution. If you identify the following reasons, training can be the proposed solution. The two steps mentioned above will help you source trainers according to your requirements. There are advisory networks and online communities of GRC professionals and experts from which you can source trainers. FDA regulations mandate that "Training in current good manufacturing practice shall be conducted by qualified individuals"
Training is scheduled in many ways. Training that is delivered in response to a deficiency in performance or qualification and training that is delivered according to the calendar have basic distinctions. Training intervention remediates lack of skill, information, or motivation. By performing an implicit or explicit business risk assessment, the decisions about either of the above two kinds of training are made. What did the participant think about the training program? This can be achieved by using user-friendly forms. What did the participant learn? This can be achieved through a written examination to measure the transfer of knowledge. The questions for the examination must be clear and unambiguous. The questions should be an accurate reflection of the key points in the subject matter presented. Is the knowledge being applied to the task? This can be identified by quantifying the types of errors previously made as compared to any errors made after the training. How did the company benefit from the training? Has the output of correctly manufactured product or device increased? Are the fewer documentation errors? What types of improvements are proposed as an outcome of the training? Is the change control properly followed? How the training is conducted (online, classroom, etc.)? When the training will be conducted and what is the frequency? Who will be the attendees (role-based programs)? What is the measurement process? Engage staff with better visibility into their own personalized training curriculums. The speaker Dr. Ludwig Huber, Ph.D., is the director of Labcompliance and editor of www.labcompliance.com, the global online resource for validation and compliance. He is the author of the books "Validation and Qualification in Analytical Laboratories" and "Validation of Computerized Analytical and Networked Systems". He has given multiple presentations mainly on GLP/GMP, 21 CFR Part 11 and Validation around the world. This included seminars, workshops and presentations for the US FDA, China SFDA, Korea MFDS, Singapore HSA, ISPE, Japan PDA, PIC/S and several other national health care agencies. The speaker Betty Lane, has over 30 years' experience in medical device quality assurance and regulatory affairs. She is the founder and President of Be Quality Associates, LLC, a consulting company helping small and medium sized medical device and diagnostic companies implement and improve their quality systems for both FDA and ISO 13485 compliance band business when they became FDA and industry requirements. Her are areas of expertise include training, auditing, supplier management, design controls, software validation and general safety. Betty's training experience includes over 25 years of training on all areas ISO 13485 and FDA cGMP, in companies where she worked as manager or director, and for AAMI, ASQ biomedical division, and ASQ sections. She has taught courses in medical quality and regulatory affairs as an Adjunct at Northeastern University, Boston, MA. Betty is active in her local section of the American Society for Quality and is also a member of the RAPS, Association for the Advancement of Medical Instrumentation (AAMI), The Society of Women Engineers and the IEEE. Betty has degrees in engineering from Rensselaer Polytechnic Institute, and an MBA from Northeastern University.